A magical place like Lake Como is to be experienced from many perspectives. The splendor of the landscape and its striking views may be explored by trekking or cycling. Those who are looking for water-based thrills, may board a seaplane or a motorboat. Our Concierges are at your complete disposal to help you organize the best way to take advantage of the numerous activities Villa d'Este has to offer. You can choose to rent a private boat with driver, deciding where to stop, or take the comfortable ferry or hydrofoil to Cernobbio to visit the picturesque villages overlooking the lake. Or rent one of Villa d’Este’s boats and explore on your own. We recommend reserving the private boat in advance. 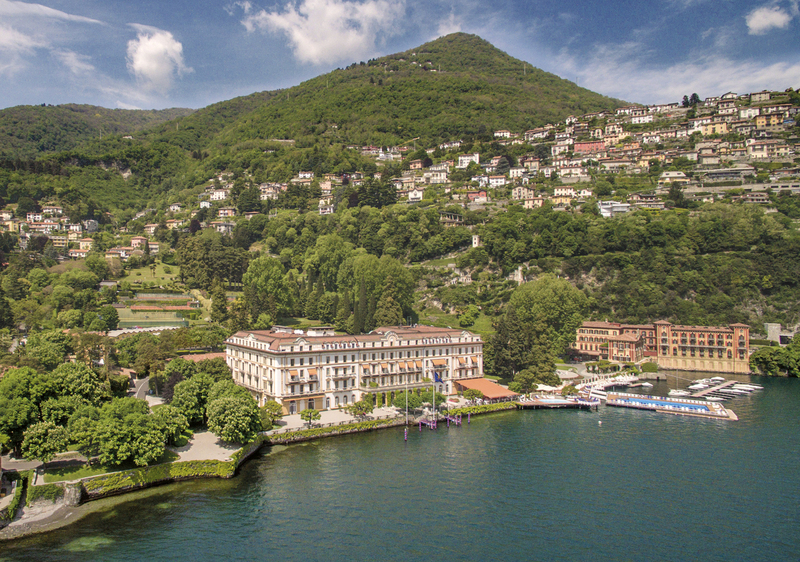 The Aeroclub of Como boasts the distinction of being the oldest seaplane flight organization and the oldest flying school in the world. Seeing the lake from above is extremely fascinating, so we recommend booking this unique experience in advance. If you are a nature lover and like walking, there is a beautiful path about 1.5 kms long in the park of the grounds of the Villa d’Este. If this isn’t challenging enough for you, then hop on a boat or get a taxi to Como and catch the funicular as far as Brunate where you can walk on a scenic and fairly easy trail as far as Torno. Alternatively, go by car up to Mount Bisbino (above the Villa D’Este) and then walk along the “Lariano Trail” or go by car as far as Lenno where you can walk along the “Via Crucis” path. Along this path, admire fourteen chapels with life-size statues which lead to the Sanctuary of the Madonna del Soccorso. Or go by car to Griante and then climb up to the church of San Martino from where you can enjoy some of the most spectacular views over the central area of Lake Como. If you feel a little unsure because you’ve never been to this area, we can arrange for you to be escorted by guides who will also provide you with information on the area. We can arrange bicycle excursions with a guide to leisurely take you to see the beauty of Lake Como and the near surroundings of Switzerland. Cernobbio, Tremezzo, ferry to Bellagio, Madonna del Ghisallo, Como, Cernobbio. Cernobbio, Mendrisio, Capo Lago, Ponte Tresa. * Bicycle rental is available through the same company. Fill out the form below, we will reply as soon as possible.